The Augusto C. Sandino International Airport in Managua, Nicaragua, bustled with more than 200 premium cigar smokers last week, as men and women from all over the world flew in to participate in Nicaragua’s largest cigar and tobacco celebration—Puro Sabor. People came from 30 different countries (as far as Germany, Spain, Taiwan, Switzerland and Brazil) to take part in the weeklong event that ran January 22 to 26. Now in its seventh year, the annual Puro Sabor festival is hosted by the Nicaraguan Tobacco Chamber: a collective that celebrates Nicaraguan culture, tobacco and cigarmaking. This year there are 29 members of the organization, composed of tobacco growers, cigarmakers and cigar packaging producers. The festival allows cigar fans to immerse themselves in the world of premium cigars, with educational tours to farmlands and cigar factories. There are also cultural activities, with a trip to the beach on the Pacific Coast and the chance to explore the cities of Granada and Estelí. 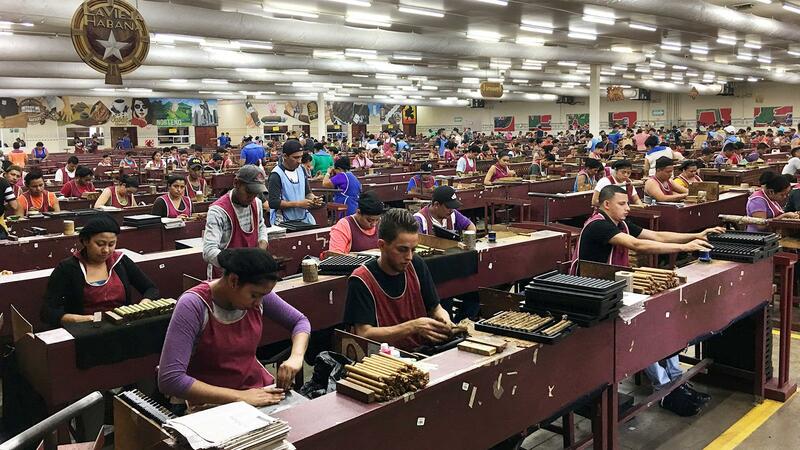 A rolling room at La Gran Fabrica Drew Estate. 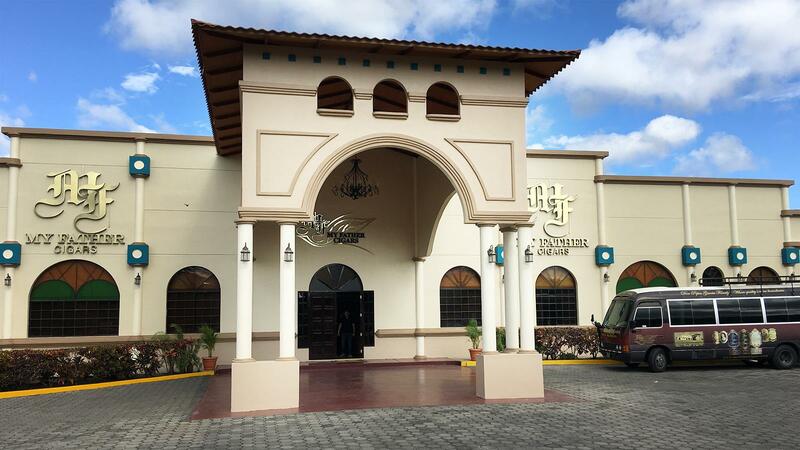 After landing on Monday, guests were bussed a short distance to the Hotel Las Mercedes in Managua to complete their registration and receive a backpack full of festival souvenirs. The most eye-catching was a hefty black box containing 40 cigars. The box contained a variety of Nicaraguan cigar brands, each adorned with a special “Puro Sabor 2018” footband. Guests then headed to Granada, where they checked into their hotels, engaged in sightseeing and visited the Mombacho Cigar Factory. Day two brought the crowd to the Rancho Santana resort in Tola, Rivas, located on the Pacific Coast of Nicaragua. Guests had the opportunity to go swimming, walk along the beach, lounge at the open bar or smoke cigars on the patio overlooking the ocean. It was then time to return to Granada for a welcome dinner in the courtyard of the Museo del Convento de San Francisco. The third day of the festival was cigar heavy, with a focus on cigar factory visits in Estelí, the epicenter of Nicaragua’s cigar production. On the way to the city, the bus stopped at Finca Victor Calvo for a rest stop and a cigar break. Upon arriving in Estelí, guests were invited to lunch at El Tuco, one of the Plasencia family farms, then dispersed to cigar factories around the city for guided tours, visiting locations such as La Gran Fabrica Drew Estate, Fábrica de Tabacos Joya de Nicaragua S.A, Puros de Estelí Nicaragua S.A. (PENSA), Nicaragua American Cigars S.A. (NACSA), Tabacalera Villa Cuba S.A. (TAVICUSA), Nicasueño S.A., Oliva Cigars, El Galan Cigars, Victor Calvo and Estelí Cigars. In the evening, an elegant dinner was held in the garden outside the Joya de Nicaragua factory. Thursday offered more visits to cigar companies and plantations, and guests headed out to fields and factories from A.S.P. de Nicaragua (A.S.P Enterprises Inc.), Cigar Box, A.J. Fernandez, My Father Cigars, Tabacalera RC, Procenicsa, Omar Ortez Originals and Plasencia Cigars. Lunch was held at Cigar Rings (a cigar packaging manufacturer) with a tobacco tasting seminar held immediately afterward. The Garcia family's My Father Cigars factory. 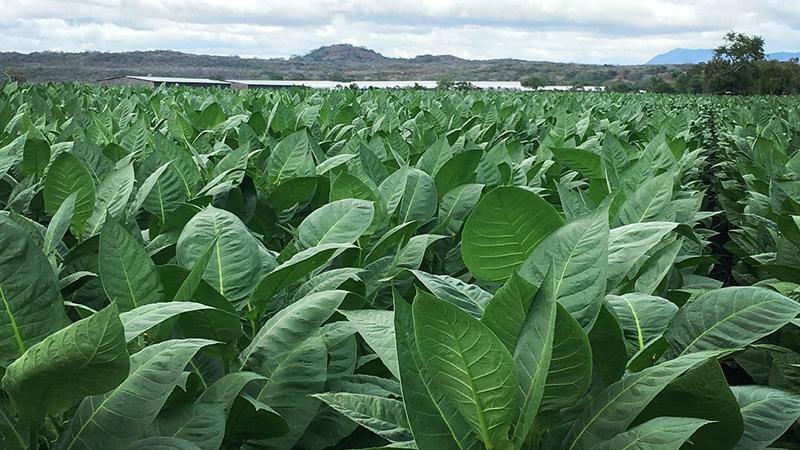 Up next was another round of educational visits, choosing between factories such as Tabacos Valle de Jalapa S.A. (TABSA), Scandinavian Tobacco Group Estelí, and La Corona Cigars. As the day came to a close, guests transferred to the Plaza Domingo Gadea in the center of the city for a “white party” dinner. The men donned white guayaberas and the women wore white dresses for a night of dancing, drinking and more cigar smoking. Friday delivered a final set of tours, with a special emphasis on plantation visits. Guests could walk the fields and experience the curing barns of companies such as A.J. Fernandez, Padrón Cigars, Plasencia Cigars and My Father Cigars. Lunch was held at El Buen Vecino, a farm that grows tobacco for Arturo Fuente Cigars. During the lunch, Carlos “Carlito” Fuente Jr., owner of Arturo Fuente Cigars, made a surprise visit to announce his intention to build a new cigar factory in Estelí. His company is based primarily out of the Dominican Republic. Puro Sabor concluded with a formal gala dinner at the Drew Estate factory—with a final send-off of music, cigar smoking and celebration captivating guests for many hours into the night.